For a quick quote, click on the button below to "Get Started"
Federal crop insurance is available from selected providers and agents. Vintage Crop has succeeded in differentiating themselves by building strong relationships with their clients through exceptional service. We always pride ourselves on providing quick, knowledgeable and comprehensive customer service to all our clients, regardless of size. Our clients understand we are not just an insurance agent. We are part of the farming community, and that’s important to them. We know it is cliché to say service is the difference, but it truly is in our industry. We have earned the trust of our clients because we always strive to give them the best possible service. In times of possible loss of production due to covered perils, growers must initiate claims; Vintage Crop is proactive in working with their policyholders. Growers appreciate our approach and they also appreciate the face to face visits. Whether you are a mile away or a thousand miles away, we will be there, in person, ready to serve you. We care about your farming operation; we care about you and your livelihood. 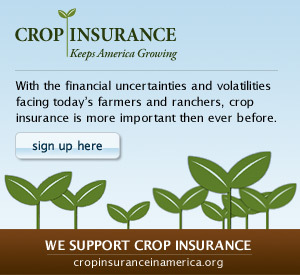 We are here to protect your crop, your investment, and the future of your family farm. Decisions you make today carry the weight of future generations. That is why growers choose Vintage Crop.